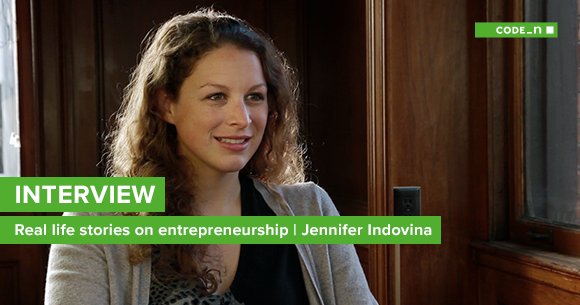 In the “Female Pioneers“ series, founder Jennifer Indovina gave us her feedback on the topics of women in tech and startup life. One of her strong statements: “I pitched to 50 VCs, I got 50 no’s. You can stop there or you can try to find another channel. 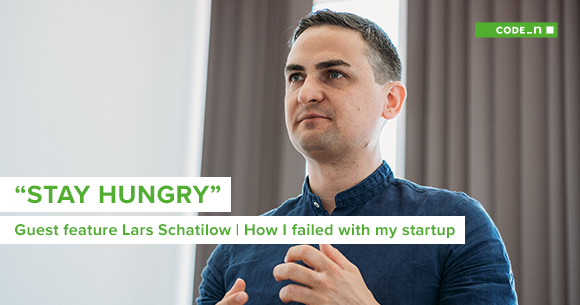 Work with the team that you picked, that you trust, and try to find customers.” Starting today, you can read the full-length interview! Jen gives us insight into her private life, explains to us how her parents influenced her and does away with the persistent myth that founders live in a different dimension than we “mere mortals”. The founder of Tenrehte also poses the elementary question in her view: What kind of founder do you want to be? A candid interview that we really enjoyed, once again. Thanks, Jen! Lisa: You’re a passionate entrepreneur. When did you start to feel the strong desire to go your own way and build your own company in the technological field? Jennifer: It started from working in another company and observing stuff around me I didn’t like, and then I just decided to change it. And I think the idea that it’s harder for women to just make that decision, to make that leap, to leave one company and start your own company. I kind of disagree with that idea that it’s harder for women. Sure, there are systemic sexism issues for women. Any woman trying to raise capital the traditional way or, for a startup, attempting to work in an industry that is historically male-dominated. When you look back in history, every industry was at one point in time male-dominated – and it was only a matter of time. Take the medical field 100 years ago: Only men were allowed to be surgeons, and only men could be educated in the medical arts. When we look at every single medical university today, women are either the majority or it’s 50/50. I think as time progresses we evolve socially and women are benefitting from that social evolution. They just have to basically not be afraid to fail, not be afraid when a man tells them “no” and keep moving forward. Lisa: Still, female founders, especially in the field of tech, are few and far between. What are the reasons for that in your opinion? 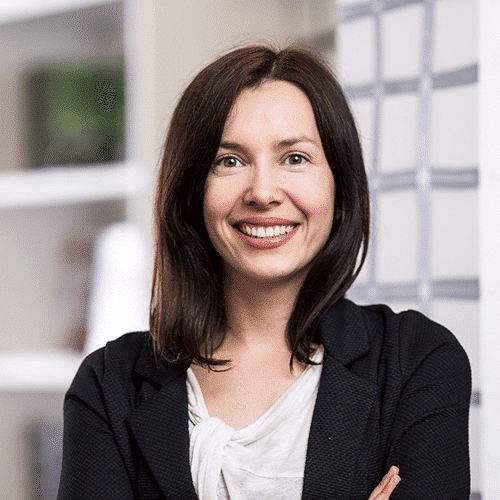 Jennifer: I think one of the number one reasons is that female entrepreneurs today who have had success haven’t used the traditional financing channel for their startups. By that I mean the women who have been successful entrepreneurs – they haven’t killed themselves for years trying to pitch to the traditional VC’s, the venture capitalists and the banks that worked historically. They’ve gone out there and they’ve bootstrapped, they’ve gone and looked for customers. And if they found customers, they found success. I don’t want to be too generalizing with this statement, but I firmly believe that women who try to grow a business instead of trying to fund a startup will enjoy success. If women try the same tried-and-true method that worked for men for years to fundraise, going to pitch to guys in a boardroom, well, the statistics are, it’s not in your favor. I know because I did it! I pitched to 50 VCs, I got 50 no’s. You can stop there or you can try to find another channel. Work with the team that you picked, that you trust, and try to find customers. And when you do it that way, when you try to grow a business, I think you see these small incremental wins that will help you build the self-esteem that you need as a female entrepreneur – so then you’ll go and take more risks. And taking risks by being willing to take chances, that’s what it means to be an entrepreneur. And I believe that women have that ability. They have that ability to go out and take risks, make crazy choices, they have to just get out there and do it! I make it sound simple, of course it’s not, but I want to encourage women to follow their path. I think one of the number one reasons is that female entrepreneurs today who have had success haven’t used the traditional financing channel for their startups. By that I mean the women who have been successful entrepreneurs – they haven’t killed themselves for years trying to pitch to the traditional VS’s, the venture capitalists and the banks that worked historically. They’ve gone out there and they’ve bootstrapped, they’ve gone and looked for customers. And if they found customers, they found success. I don’t want to be too generalizing with this statement, but I firmly believe that women who try to grow a business instead of trying to fund a startup will enjoy success. If women try the same tried-and-true method that worked for men for years to fundraise, going to pitch to guys in a boardroom, well, the statistics are, it’s not in your favor. I know because I did it! I pitched to 50 VCs, I got 50 no’s. You can stop there or you can try to find another channel. Work with the team that you picked, that you trust, and try to find customers. And when you do it that way, when you try to grow a business, I think you see these small incremental wins that will help you build the self-esteem that you need as a female entrepreneur – so then you’ll go and take more risks. And taking risks by being willing to take chances, that’s what it means to be an entrepreneur. And I believe that women have that ability. They have that ability to go out and take risks, make crazy choices, they have to just get out there and do it! I make it sound simple, of course it’s not, but I want to encourage women to follow their path. Lisa: Which responsibilities and challenges do you have to face on a daily basis as an entrepreneur? Lisa: What was your career path to this role? Did you have role models and mentors along the way? Jennifer: Yeah, absolutely! My mother. She is a software engineer and I watched her go through the hurdles of entering into software engineering in the 80s and the 90s when there were no women and now seeing this environment blossom to include lots of women all around the word, working on the most important stuff. And my mom was there thirty years ago, so I’m humble and proud, and I definitely want to make my mom proud. She is my personal role model. My father as well—he is also an entrepreneur and a supporter of women. So I grew up knowing that men are supportive of women. And in terms of external mentors and heroes, I have to say there are a few, and one of them is Will Glaser. He created the music project which became the famous music service Pandora. I met Will in California in 2011 and he basically became a mentor to me and taught me something really important that I think all entrepreneurs should know. And that is, you have to decide which type of entrepreneur you want to be. Do you want to be an entrepreneur who basically develops an idea, builds the company to a certain size and then lets it go? Or are you more-mission focused, are you about a certain metric you want to meet, like do you want to design electronics that are 100% sustainable—that describes a metric-driven entrepreneur. Or are you the type of entrepreneur that wants to build a new world, exploring whole new territory, burning whatever bridges you acquired along the way. That’s a whole other type of entrepreneur, like the Elon Musks, Bill Gates or Mark Zuckerbergs of the world. Will Glaser taught me that it’s okay to ask myself that question and it’s okay to change my mind along the way if I later decide I want to be a different type. So he definitely inspired me. And absolutely the TED fellow family. I go back to them all the time for collaboration projects, to be inspired. Being a TED fellow means that you attend the events, are inspired by the community, and help each other out like in the Zoe Coral project. Lisa: That’s inspiring, Jen. Thanks for sharing! Anything you want to add? 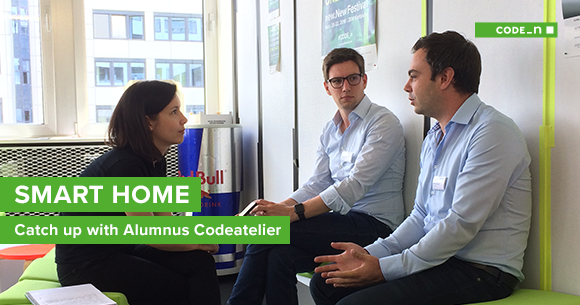 Jennifer: I just want to say that I had a great experience meeting everyone in the CODE_n team at the CONTEST. And I think that what you guys are doing is really important! Supporting entrepreneurs in your community and drawing global attention to them. That’s invaluable! Lisa: Thanks a lot! We wish you all the best for your future endeavors. Do you mind if I quote a few of your posts as long as I provide credit and sources back to your webpage? My blog site is in the very same area of interest as yours and my users would genuinely benefit from a lot of the information you provide here. Please let me know if this ok with you. Many thanks! Does your site have a contact page? I'm having problems locating it but, I'd like to send you an e-mail. I've got some ideas for your blog you might be interested in hearing. Either way, great site and I look forward to seeing it develop over time.